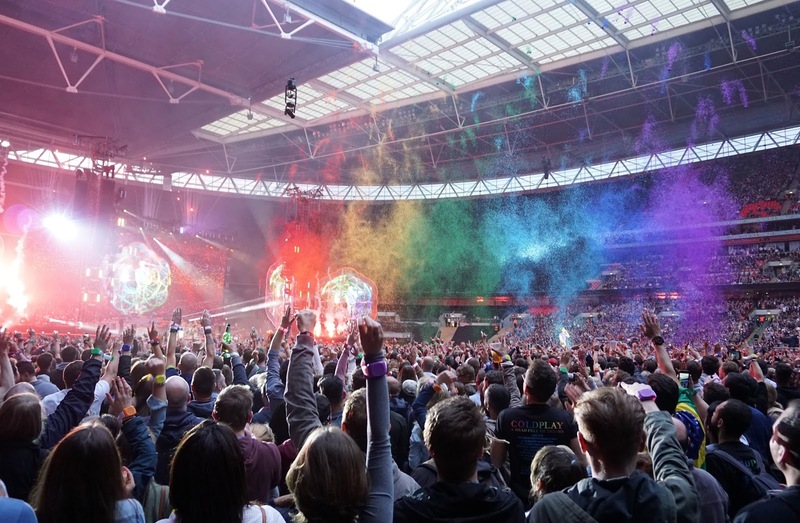 Here are a few photos I took at one of Coldplay's recent 'A Head Full of Dreams' Wembley Stadium gigs. As mentioned in a previous post, I was there as a judge for the awards to take a look at the work of the tour's video director. 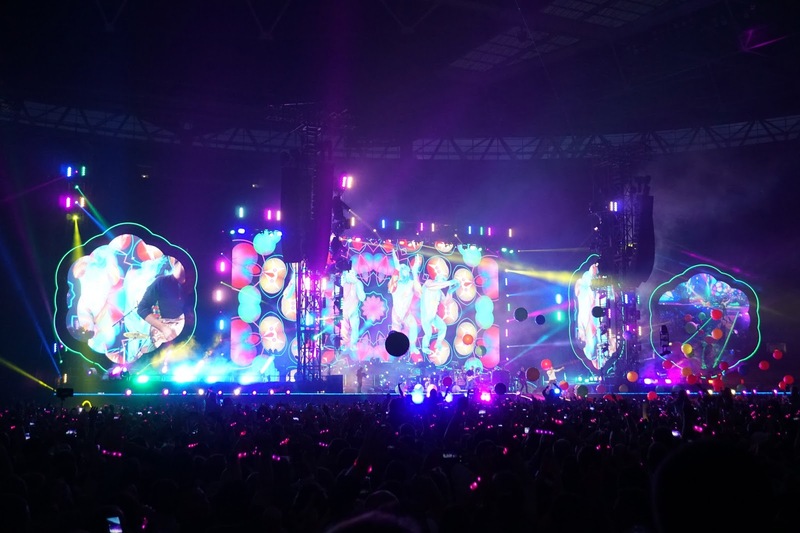 It was a fantastic show that had no problem at all filling the vast stadium with an incredible party atmosphere. 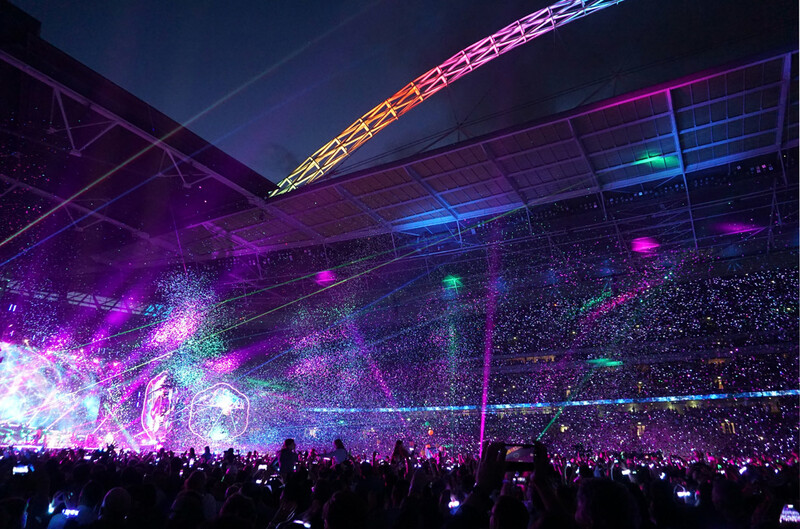 The colours, the enthusiam of the band, the ever-popular light-up wristbands . . . it was a real joy to behold! 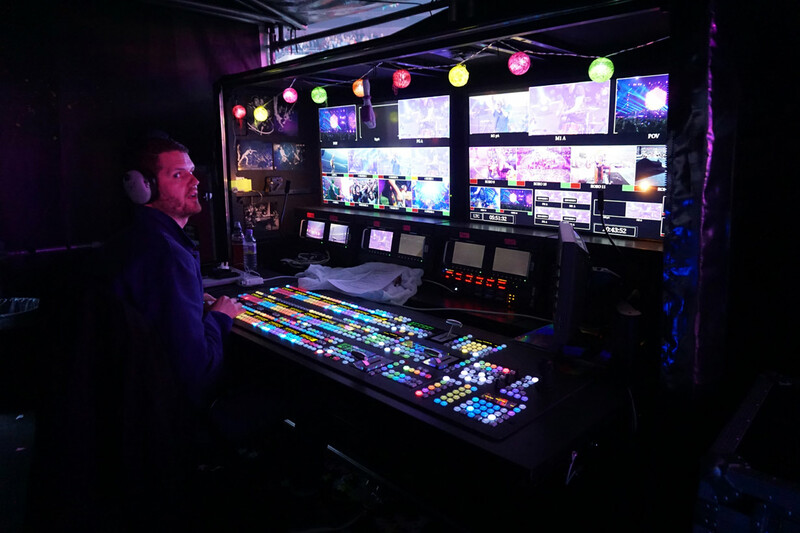 I was lucky enough to watch the show from one of the Front of House positions and got to watch the lighting and video crew at work throughout the show - always fascinating and my thanks go to the team for making me so welcome.